Driving Lessons Stroud Starter Deal £89 for 4Hrs (Complete Beginners). So are you wanting to get on the road driving your own car in Stroud and beyond? Because that is what learning to drive is all about. Once you have your driving licence you have the freedom to drive anywhere in Stroud and further afield... loads of opportunities come your way. It could be a better paid job, meeting new friends or just weekend road trips. Imagine yourself loading up your car and going away for a long weekend with your friends...that´s what a driving licence brings. Life changing! We will give you the confidence you need to go further away from home to experience different roads in areas where you are most likely to drive after your test. For instance, if you live in Stroud you may drive to Cheltenham, and if you live in Stroud, you may also drive to Gloucester. We even offer you an out of town shopping route or a visit to the railway station car park. 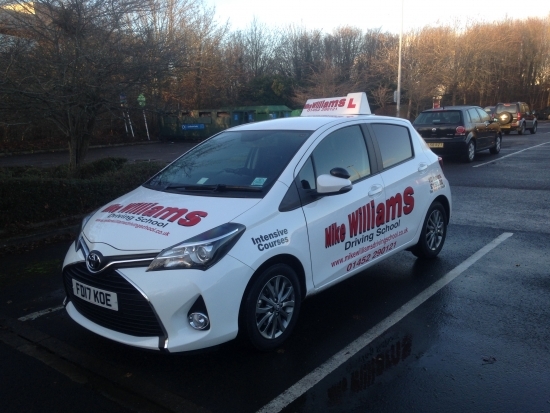 By taking your intensive driving lessons with Mike Williams Driving School in Stroud, you will be getting the best of both worlds with very high standard, cost effective lessons that have helped hundreds of learner drivers successfully pass their test and go on to be confident, safe and responsible drivers. Quality driving courses in Stroud. From your first driving lesson you are going to learn good driving habits which will help you pass your driving test and become a safe driver. Think about the real reason for you repeatedly failing.. it´s not your fault, your previous instructor might not have prepared you correctly. Let´s see what we can do shall we? Busy with work or studying? How does taking lessons and even your driving test on a weekend sound?